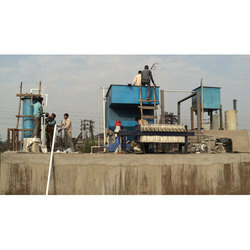 Our company is a major manufacturer of Effluent Treatment Plants that are constructed from high quality raw materials. Wastewater generated in a dairy holds highly putrescible organic constituents. This necessitates timely and adequate treatment of the wastewater before being disposed off into the environment. Almost all the organic constituents of dairy wastes are easily biodegradable. Thus, the wastewater is amenable to biological treatment, by both aerobic and anaerobic. Our effluent treatment plant matches the international and national standard norms. Our plant remains odorless, compact & sturdy design and quick to install. With the goal of delivering qualitative products, we are engaged in providing our clients with an excellent quality ETP Plant that find their usage for treating the waste water that gets contaminated by different industrial activities. 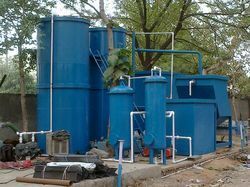 The offered ETP plant is used to treat waste water from several impurities to make it drinkable. Offered ETP plant is manufactured using finest quality raw material and contemporary techniques under the strict industry laid norms. Shankar Frp has profound understanding of designing water & wastewater treatment systems tailored to the industrial, building &government segment requirements. A blend of our experience and exposure to quality assurance practices by various consultants helps us meet all your quality expectations. We aim to develop competencies in wastewater recycling segment and offer low cost, environmentally friendly solutions thereby encouraging communities to invest in wastewater recycling. Looking for ETP Plant ?